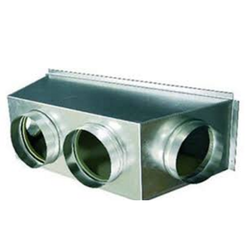 We are a leading Manufacturer of supply air plenum and class 1,000 clean room from Mumbai, India. We offer simple design supply air plenum clean rooms that are known for its clean air environment in which air is conditioned for controlling humidity and temperature. It also controls the air pollutants, such as germs and dust particles and other harmful gas content at lower levels than the standard working atmosphere. We offer two types of clean rooms, including horizontal flow and vertical flow.Our Supply Air Plenum is also suitable for detecting and controlling air pollutants like germs, dust particles and harmful gas content. Within a temperature controlled environment, our Class 1,000 Clean Room was designed with the special, specific and stringent requirements many of our medical device customers demand. The "Room within a Room" is state-of-the-art. Attention to every detail was adhered to during every phase of the design and installation process. 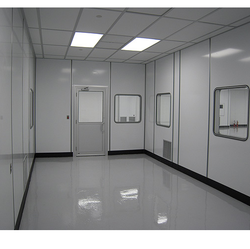 Our Clean Room is yet another prime example of "Going Beyond Others" and offering our customers true full-service.